We investigate the topology of magnetic clouds using energetic particles from a variety of sources outside the clouds as probes to remotely sense the interconnections of the magnetic field. We find that only a small percentage of field lines in magnetic clouds are truly closed directly to the Sun, so as to exclude particles from an external source. Field lines that are open to the outer heliosphere must be mixed with closed field lines on a fine spatial scale in the clouds to explain the simultaneous observation of anomalous cosmic rays from the outer heliosphere and of counter-streaming suprathermal electrons from the corona. 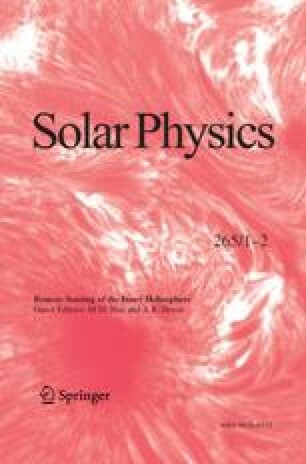 The results of this paper show that, given sufficient time, particles accelerated at shock waves outside magnetic clouds have access to the interior and to a wide region of solar longitude in interplanetary space surrounding the clouds. Guest Editors: M.M. Bisi, and A.R. Breen.